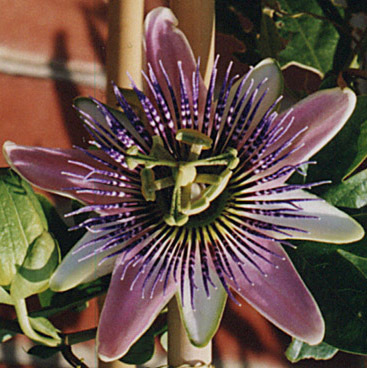 Passiflora x belotii. 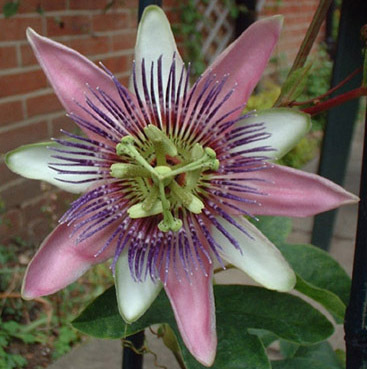 A stunning hybrid with a beautiful perfume similar to ‘Refreshers’ sweets. 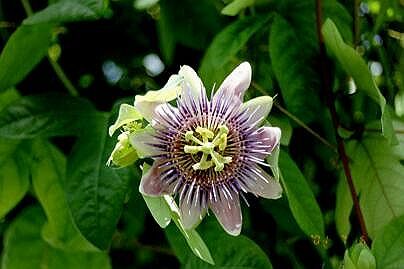 Passiflora x belotii ‘Perfume Passion’ is a new version of the cross with Plant Variety Rights applied for. Passiflora x belotii often incorrectly spelt as x bellotii, belottii or belotti. It is a hybrid of P. alata x P. caerulea. Named P. alato-caerulea by Dr Lindley in 1824, John Vanderplank’s book lists the following alternative names, P. x belotii, P. ‘Empress Eugenie’ (nice article with great pics), P. ‘Imperatrice Eugenie’, P. ‘Kaiserin Eugenia’, P. munroi & P. x pfortii, some of which are still in use. 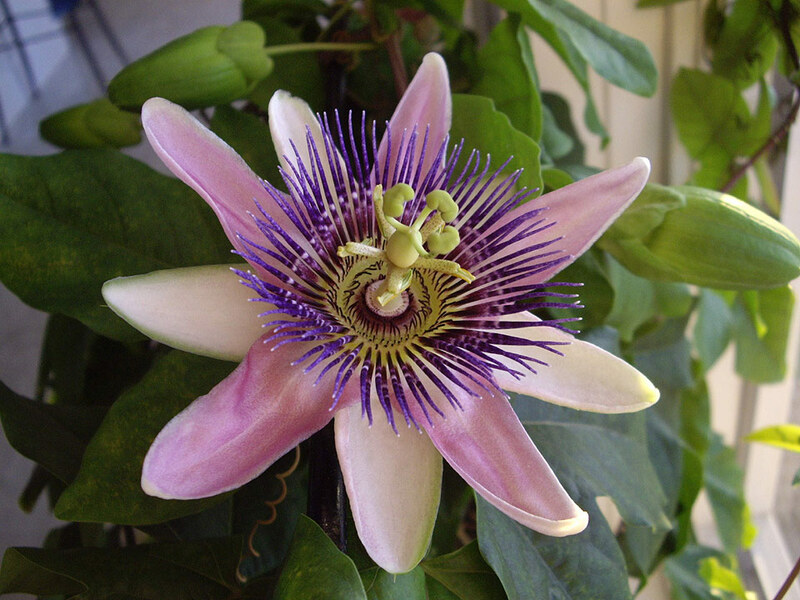 The latest Passiflora hybrid lists have collapsed them all into ‘P. x belotii‘. Flower variations however include either a dark or light centre, one or a number of white bands on the coronal filaments & petals crumpled to varying degrees. Clearly there are a number of similar but distinct hybrids, probably all of P. alata x P.caerulea parentage. It is my view that they have been overcollapsed & could probably be separated out again, but as they are decorative & all thought to be sterile it did not seem to matter too much. Thats has changed however as Sandra Prais has repeated the cross and produced fertile offspring. The P. x belotii comparisons above compare flowers of 3 different P. alata x P. caerulea hybrids. Les King has repeated the P. alata x P. caerulea cross and confirms that the offspring were like P. x belotii. P.x belotii has also been suggested in the past to be P. edulis x P.quadrangularis or P. × buonapartea, or P. racemosa-caerulea x P. quadrangularis with its origins becoming lost in the 1850s. Thanks to Leslie A. King for this information from Axel Frank and Emil Kuglers’ hybrid checklist.